NTP Technology will introduce major enhancements to its DAD AX32 audio converter, router and monitor controller at BVE 2016. 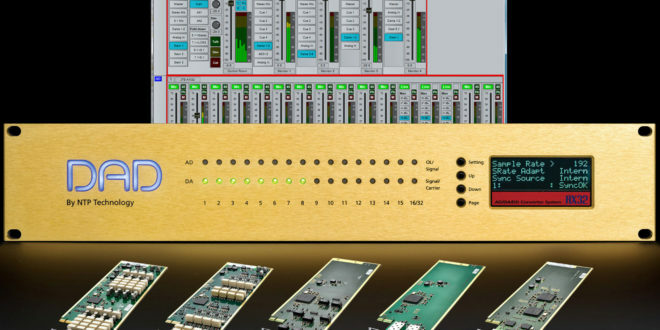 Exhibiting on stand L45 with distributor HHB Communications, NTP will demonstrate the AX32 on its own, as well as show how the integration between the AX32 and the Avid S6 control surface provides an ‘extremely flexible’ platform for audio post-production. "We are adding two new I/O option cards for the AX32: a dual MADI I/O module plus an eight-line AES3 (AES/EBU) I/O module with optional sample rate conversion," commented NTP technology business development manager Jan Lykke. "It is possible to install up to eight of these cards. That means the AX32 can now provide up to 16 MADI I/O or 64 stereo AES3 I/O in addition to the built-in three MADI I/O and eight stereo AES3 I/O." 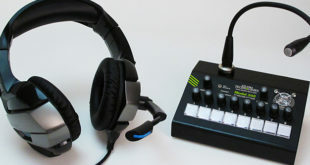 The new cards supplement the existing eight-channel analogue line input card, eight-channel analogue mic/line input card, eight-channel analogue line output card and the dual 3G SDI embedder/de-embedder card. 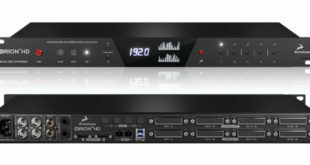 The AX32 also has a 64-channel interface for Pro Tools and can be optionally fitted with a Dante AoIP interface. "The addition of the new cards makes the AX32 one of the most versatile platforms for audio post-production, whether for stereo, surround or 3D formats like Dolby Atmos," Lykke added. "The AX32’s internal processing engine is now capable of providing PPM-style audio level information and level control for all 1,500 input and outputs, viewable in the DADman v5 software available for both MAC and PC. This new functionality is in addition to the 256 x 32 summing mixer which is used to provide NTP Technology DAD Pro | Mon monitor control. We have also added a user-configurable zero-latency cue mixer, the DAD Cue | Mix."